Last month, Netease settled its lawsuit with PUBG Corp. over the similarities between its battle royale games and PlayerUnknown’s Battlegrounds. 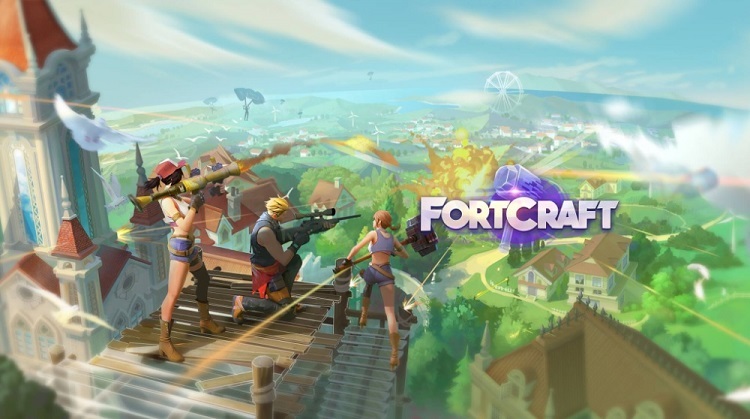 Not content to just copy one wildly popular battle royale game, though, Netease has doubled down and is now taking on Epic Games’ juggernaut, Fortnite: Battle Royale, with the oh-so-cleverly named FortCraft. Currently in closed beta in China, FortCraft has a cartoony style similar to Fortnite, along with building elements that will be familiar to any Fortnite players. You can even hide in a bush, as the video below indicates. There’s not much else out there about the game, as the website only has links to its various social media channels. The most info can be found on Facebook, and the simple fact that it has English versions might indicate that Netease plans to bring the game stateside. Unlike PUBG, though, Fortnite is free, so it might be questionable as to what advantage FortCraft would have over it. If it does come over, I’d expect another round of legal action, this time initiated by Epic Games — assuming such things haven’t begun already. And if I were Respawn Entertainment or Electronic Arts, I might start greasing up my lawyers for the inevitable Netease clone of Apex Legends that’s sure to hit in a year or so. Dear explorer, may we present you the brand new mode – Hide Mode! From 6:00 pm to 8:00 pm (EST), you can fully experience this mode that will replace the regular mode. Attention! Only within this time slot can you try our exclusive Hide Mode! The weapon in this mode will mainly be sniper rifles, and you will have a chance to get your hands on the all-new weapon— Future Arch. Gear up for the battlefield of hide-and-seek NOW! Wait till a chinese dev makes a clone of their clones…. I think this game is called “Creative Destruction” in the West now. Oh,Respawn Entertainment & Electronic Arts may stay at ease…Apex will shut down faster than NetEase make it’s clone. Sad really, that time has done this to their now unimaginative game developments, but this is gaming.